The continued success of Mediaworks over the past year has led to the recruitment of 12 new team members in the previous two months alone. There are a few new faces in the business development department, with Chris Ogle, Francis McGinty, Sarah Simpson, Tanya Mallaburn and Amy Pilkington all joining from a variety of sales backgrounds. Collectively, they are using their extensive skills to help drive Mediaworks forward. Justina Rimkeviciute and Charlotte Pattison have joined the digital marketing team. Both have become invaluable members of the Mediaworks team, bringing innovative concepts to our campaigns, helping maximise the online presence of clients. Gileng Suillvan, an experienced Project Manager, has joined the project management department, supporting the existing team in effectively planning and organising client projects. 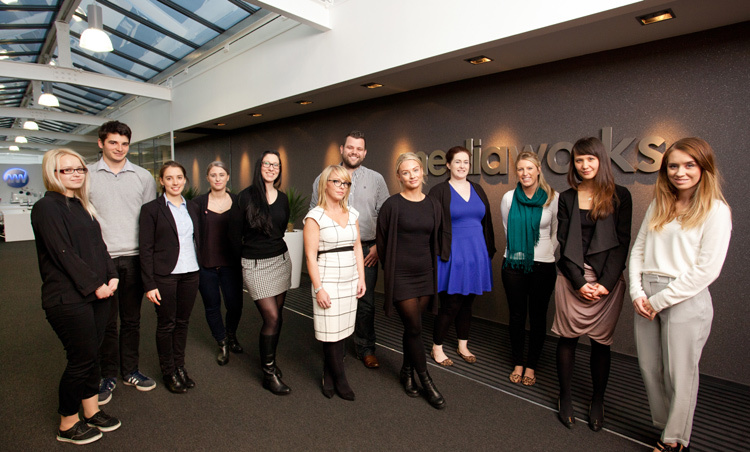 Mediaworks have also welcome four new additions to the client relations team. Experienced Client Relationship Managers Francesca Barras, Charlotte Fuller, Stephanie Beadling and Jasmine Forster have hit the ground running, providing the stellar support and communication to all of their clients.